If you are all about saving money, you might consider skipping out on gloves. I did it for one season and didn’t mind it! Then it turned hot. Too sweaty; too difficult to play with naked hands. The last thing you want to worry about when trying to shoot good scores is the club coming out of your hand while swinging. So, if you have decided that you definitely need gloves, skip out on buying them at a club pro shop or sporting goods store. Unless, that is, that you find their prices to be better than online, which typically is not true. However, I have been able to pick up a couple good deals at Walmart on good quality gloves, so don’t forget to at least check first. I’ve bought tons of different gloves over the years, and I always focus on the lower priced ones, so I don’t have much experience with gloves that are more than $12 or $15. Honestly, I just don’t see a need to purchase gloves that are that expensive, even just to try out and review. I’d rather be able to recommend the best value equipment on the market, which is typically what my articles try to do anyway. So, let’s get right into it. If you don’t want to read this entire article, I’ll sum it up in short. 1) Stick with MG Golf, Callaway, or a lower end Titleist/FootJoy model. 2) Buy in quantity if you can. When you find a good deal, stock up! 3) Make sure you have gloves for both cold and rainy weather as well. The MG Golf brand is absolutely, without a doubt, the most underrated golf glove brand that you have (probably) never heard of. They have been making very high quality, leather gloves for years, and the customer base seems to be growing quickly. Check their price on Amazon to see what it is selling for, as they often have incredible deals. Odds are, though, that their website will be much better priced. Their website is super easy to navigate, and they make it very easy to purchase as they accept PayPal. I hate having to put in my information for every website when I buy something, so using PayPal speeds things up incredibly well. Their gloves are typically only $6, which is an absolute steal. To be honest with you, I have about 10 other gloves that I am going to wear out in the next couple of years. After that, though, I don’t see myself buying any new gloves from another brand for a long time. Their MG Elite glove is by far their best value glove, as it feels just like a premium FootJoy glove but at a much lower price tag. I see no need to upgrade to a more expensive MG glove, as their basic model is simply plenty good. Another great thing about the MG Golf glove is how sleek and professional it looks. Other gloves have lots of useless designs. This one is just a nice, shiny white. I can’t help but feel a little more confident over the ball when wearing it. So, yeah, if you want to read on, please feel free to. But I would highly recommend trying the MG gloves. Callaway makes some great gloves as well, but their prices are just a tad higher on average. This is my favorite Callaway glove that I have tried. It feels a lot like a premium Titleist glove as well, but for about $3-4 less. It’s made with leather that fits very well and will last longer than your average glove for sure. I’d say mine lasted me nearly a month and a half, and that was with playing nearly everyday. I finally got a hole in the thumb, but I was very pleased with the fit and durability overall. Gloves typically cost around $14ish in a pro-shop, so you can definitely save a little money by buying them on Amazon. Just make sure whatever listing you decide to purchase, that you are buying the glove for the correct hand or orientation, as many people confuse those. A “right handed orientation” glove will be a glove that fits on the left hand. A “left hand glove” is also one that fits on the left hand. I know, it can get confusing. Just check the frequently asked questions on the listing to make sure you are ordering the right glove for you. These three pack gloves from Callaway are always a great deal. I’ve seen them sold in many different places, like Academy and Costco. Costco often has an incredible deal where it ends up being around $7 for each glove. The thing about gloves are: they will last nearly forever if unused. So anytime you find an incredible deal on premium gloves (around $8 each glove or less), I’d stock up. You can always use them later, or give them as gifts for golfers! I’d recommend the leather 3 pack if you can get them, as they are more durable. You won’t be sacrificing feel either, as they feel incredible. If you are stuck on buying (or trying for the first time) FootJoy gloves, I would stick to their basis model: WeatherSof. This is a very sturdy glove, and it is probably the most widely sold glove across the US in pro-shops. Everyone knows the FootJoy brand when it comes to gloves, so they want to buy the best. I agree, FootJoy is an incredible golf glove brand. However, I don’t think it is justified to spend $15 or more on a glove, and most of their models come in around there or even more. I think Callaway and especially MG are just as good if not better. Plus, their prices are MUCH lower, so it’s a no brainer for me. Anyway, the WeatherSof model is a great glove. It feels great on my hand, no matter how much I sweat. A little bit of rain doesn’t scare me either, so I can see why it’s such a popular glove. I’d recommend going for the 2 glove pack, as it will save you money and bring each glove down to around $11-12 each. Considering how long it will last, it is still a great deal. I just think other brands are getting more competitive now with their products and pricing. If you are wanting to try something new, and feel like you might tend to grip the club too hard, this is the glove for you. Bionic is a great golf company, not just a golf company. They make gloves for lots of different sports and outdoor activities, so they know what they are doing. After realizing how many golfer squeeze the club too hard, they built a glove that encourages your hand to relax and spreads the tension throughout the hand more, overall reducing the detrimental effects. By using strategically placed padding around the glove, they feel like they reduce the odds of golfers gripping too hard. 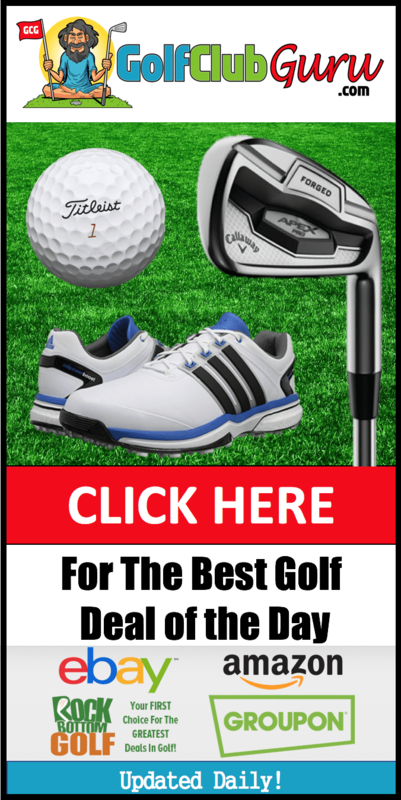 Overall, it might help with hand pain, it could give you a few extra yards if you really do grip the club too strongly, and it might be what you need to get our of your current rut. I don’t lie here. I’ve never tried this glove. However, the concept is very interesting and I will try it out in the future, just to see what it is like. I do feel like many golfers grip the club with too much pressure. So, if it does what it says it does, I think it is very much worth the $16-$18. Overall, the reviews seem incredible. Most customers are very pleased, so check it out if it interests you! If you tend to play in cold weather a lot, then you know how incredibly important it is to keep your hands warm. There is nothing worse then setting up to a shot with freezing hands, knowing that one thinned shot could nearly kill you. When I first played in tournaments with incredible cold weather, I honest to god wanted to quit. I hated golf, I wanted to leave, and it was solely because my ears and hands were too cold. That’s when I stopped being stupid and started wearing ear warmers or golf beanies, or whatever you call those things. But the most beneficial thing that I bought was a Titleist Hand Warmer. I could wear it in between shots, turn it behind me to hit real quick, and then put it back to my front to warm my hands. I’d always keep a Hot Hands hand warmer in there as well. I’ve converted lots of friends and viewers to wearing one, and they are all pleased. I feel like I have a big advantage at cold golf tournaments now, and I can use any advantage that I can get! So if you haven’t gotten one already, definitely pick one up and make cold weather golf more bearable AND more fun. If you are buying golf gloves for a junior golfer, consider a Finger Ten 2-pack of colored gloves. Kids love wearing colored accessories, and they are pretty well made gloves for the price. It turns out to be around $6 each glove, which isn’t too bad for juniors. Make sure you get a size that you think will fit them. They determine the sizes by age. So, if your 6 year old male junior golfer is the size of an average 8 year old, I would get the ones for the 8 years old. 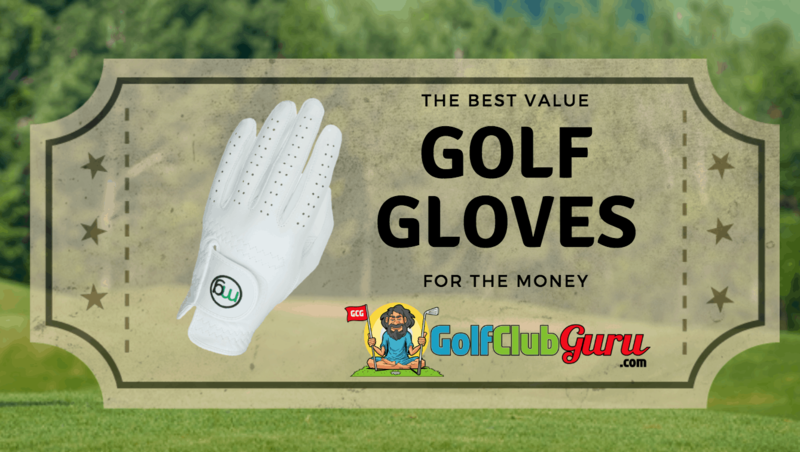 The gloves should last a very long time, as I wouldn’t expect a junior golfer to wear them out unless they are spending hours on the course or practicing. Rainy golf is like a whole different sport from golf. I can’t stress how important keeping your hands wet is. An umbrella, a bag cover, and rain gloves are the most important things that you can have when it rains. If you are going to keep playing golf even in poor weather, you need some rain gloves. FootJoy is BY FAR the most popular pick for rain gloves. Nearly every pro has a pair from FootJoy, if that means anything to you. When it comes to price, they aren’t too bad. You’ll get two gloves (one for each hand, which you need!) for less than $30. They will do a much better job of keeping your grip on the club, which is obviously so important when playing in the rain. If you don’t have a pair of rain gloves, you will have to grip your club very tight to not let go of it when making contact or in your follow through. This will most likely lead to terrible shots and not a lot of fun. 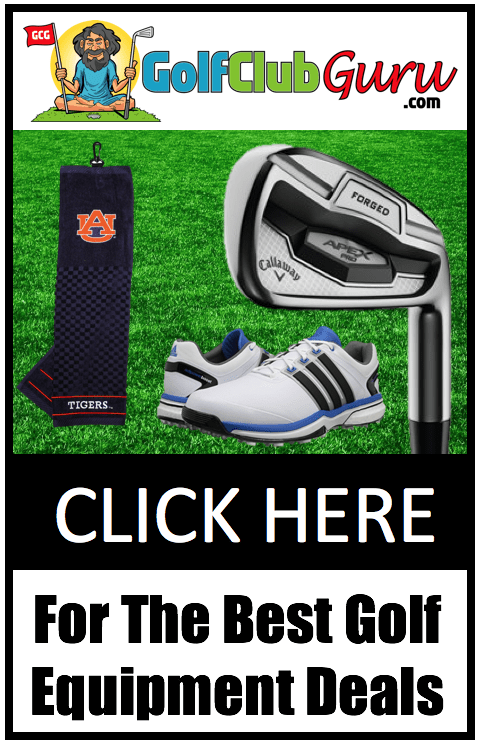 This package that I linked to basically has a free FootJoy golf towel included, as the package price is about the same as most FootJoy rain gloves sell for. We all know what happened to gloves after a round. You throw them in your bag without much care. You get them out next time you open your bag, only to be folded over many times and in a small ball. This is definitely not good if you are trying to improve the life of your gloves. Consider getting a really cheap glove holder/ stretcher thing that keeps your gloves in good shape. They are incredibly cheap and do a great deal for your glove’s lifespan. Whats up very nice site!! Man .. Beautiful .. Superb .. I will bookmark your site and take the feeds also…I am glad to seek out numerous helpful info right here within the submit, we’d like develop extra strategies in this regard, thanks for sharing. . . . . . I do love the way you have presented this particular difficulty and it really does offer us a lot of fodder for consideration. Nevertheless, coming from just what I have observed, I just simply trust when other commentary stack on that individuals stay on issue and don’t get started upon a soap box regarding the news of the day. All the same, thank you for this fantastic piece and although I can not go along with the idea in totality, I regard the viewpoint.